Taylight Brewing is up and pouring in our ultra-convenient PoCo home, just off the Mary-Hill Bypass in Port Coquitlam! You’ll also find us popping up in liquor stores across the Lower Mainland. We welcome you to enjoy our unique, quality craft beer. Every Friday we pour a new tap in the Taylight tasting room. Come down and give us your feedback, if you really like it, we might just make it again for you! 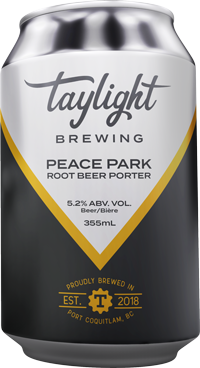 This delightful porter starts with the aroma of root beer and finishes with a slight malty flavour. This is, after all, a porter first- not a soft drink! Try it with a dash of vanilla ice cream if you dare. The beautiful marriage of new-school hazy and juicy with old-school resin, dank bitterness. Big notes of citrus, pine and grapefruit. Juicy, hazy and all the good things that come along with a New England style pale ale. Denali hops steal the show, dropping massive notes of pineapple and starbursts. 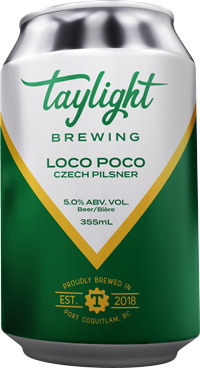 A traditional Czech style pilsner brewed with 100% Saaz hops, this beer is crisp, clean with a sharp floral bite from the old world hops. 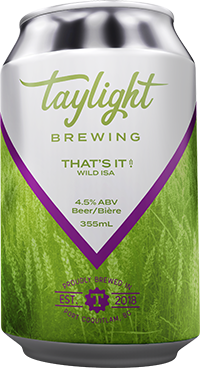 Hazy, juicy, and chalked full of those magical green nuggets – we brew this IPA with oats for silky mouthfeel, then dry hop it and dry hop it again with Vic Secret, Amarillo and Comet. 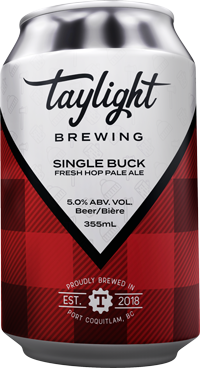 We wanted to brew a simple, delicate pale ale to allow the freshly picked Lumberjack hops to do the talking. Notes of pine, melon and grass, this is an easy drinking, mellow pale ale. 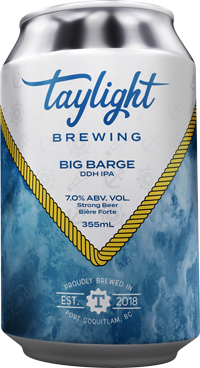 • Big Barge DDH IPA. We used Arianna, Apollo and Amarillo hops to create this juicy, crushable india session ale. Refreshing and light, with big citrus notes. 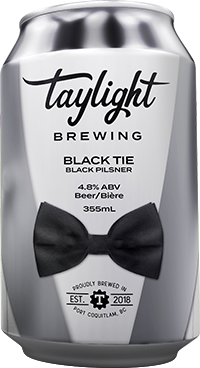 Our Loco Poco Czech Pilsners’ younger brother, this black pilsner has notes of chocolate with a smooth malty finish. 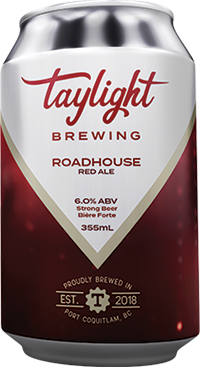 A deep red ale that balances toffee and caramel flavors with pine and floral notes from the hops. It then finishes with dried fruit flavors. WE WON 3RD PLACE AT THE HARRISON BEER FEST! Guess who won 3rd favourite brewery at the 2018 Harrison Beer Fest! Out of 22 great breweries in attendance, we poured our Big Barge DDH IPA, Loco Poco Czech Pilsner and Peace Park Rootbeer Porter and took home 3rd place!  This was our biggest event to date, with 400 tickets being sold out in just 2 weeks. Thank you to everyone who came out to the event and voted for us! What can we say? We just love beer! We came together to bring you our best and brightest creations for you to enjoy in our welcoming community taproom or with friends on your patio. Serving the Tri-Cities and beyond, we welcome you to enjoy our unique, quality craft beer. 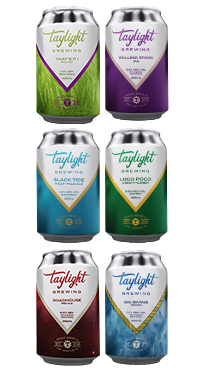 Taylight Brewing is now offering tours of our brewery! Click below to register today! We welcome outside food into our tasting room! Bring your dinner or have your favourite pizza on speed dial. We offer fresh Cobs baked goods from Friday – Sunday each week AND we have your go-to staples – pepperoni sticks, cheese plates and popcorn.